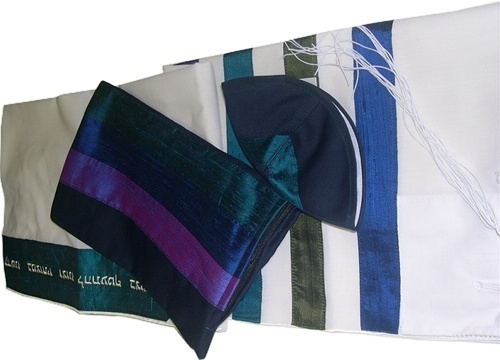 Pure silk tallit with purple, teal and deep blue stripes. Comes with matching bag and kippah. 18" x 72"